People who regularly eat nuts, including peanuts, walnuts and tree nuts, have a lower risk of developing cardiovascular disease or coronary heart disease compared to people who never or almost never eat nuts, said a study published in the Journal of the American College of Cardiology. The study is the largest to date looking at frequency of nut consumption in relation to incident cardiovascular disease. Many past studies focused on nut consumption as a whole, however, researchers in this study looked at the association between specific types of nuts – peanut butter, peanuts, walnuts and tree nuts – with major cardiovascular events. Peanuts were included even though they are actually a legume because they have a similar fatty acid and nutrient profile as other nuts. The study looked at over 210,000 people, including women from the Nurses’ Health Study and Nurses’ Health Study II and men from the Health Professionals Follow-up Study, with up to 32 years of follow up. In all three groups, information about medical history, lifestyle and health conditions were collected via self-administered questionnaires every two years. The primary endpoint of the study was major cardiovascular disease, defined as a combined endpoint of myocardial infarction, stroke or fatal cardiovascular disease. Secondary endpoints were total coronary heart disease, defined as fatal or non-fatal myocardial infarction, and total stroke, which included all fatal and non-fatal strokes. Researchers documented 14,136 cardiovascular disease cases, including 8,390 coronary heart disease cases and 5,910 stroke cases. The study found a consistent inverse association between total nut consumption and total cardiovascular disease and coronary heart disease. Also, after looking at individual nut consumption, eating walnuts one or more times per week was associated with a 19 per cent lower risk of cardiovascular disease and 21 percent lower risk of coronary heart disease. 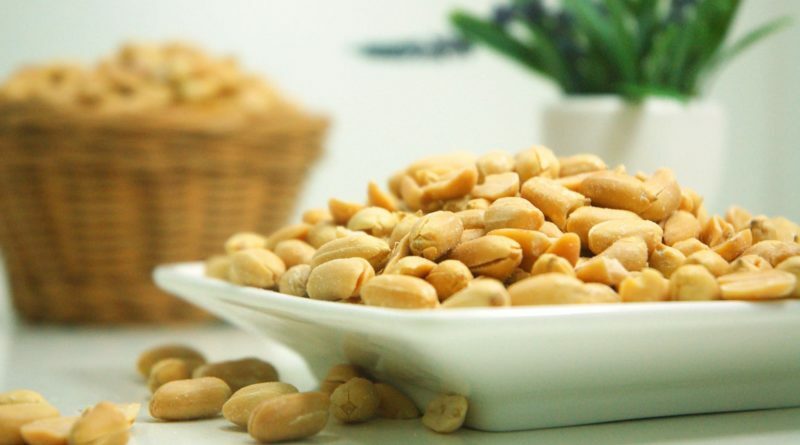 Participants who ate peanuts or tree nuts two or more times per week had a 13 per cent and 15 per cent lower risk of cardiovascular disease, respectively, and a 15 per cent and 23 per cent, lower risk of coronary heart disease, respectively, compared to those who never consumed nuts. Participants who consumed five or more servings of nuts a week had a 14 per cent lower risk of cardiovascular disease and a 20 per cent lower risk of coronary heart disease than participants who never or almost never consumed nuts. The results were similar when accounting for consumption of tree nuts, peanuts and walnuts individually. Researchers found no evidence of an association between total nut consumption and risk of stroke, but eating peanuts and walnuts was inversely associated with the risk of stroke. Peanut butter and tree nuts were not associated with stroke risk. “Our findings support recommendations of increasing the intake of a variety of nuts, as part of healthy dietary patterns, to reduce the risk of chronic disease in the general populations,” said Marta Guasch-Ferre, PhD, lead author of the study and research fellow at the department of nutrition at Harvard T.H. Chan School of Public Health. Several limitations were noted in the study, including that the sample size was limited to white health professionals. However, the researchers note that the results can be generalized to men and women of different ethnicities because there is no reason to expect the underlying mechanisms to be different. Also, because the nut intake was self-reported, errors are inevitable, and there was not data on how the nuts were prepared, so the influence of preparation methods was not able to be tested.